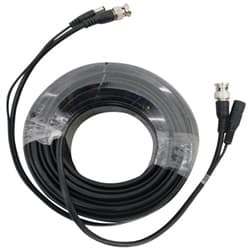 This page contains the box-style AHD cameras (HD over coax) that CCTV Camera Pros supplies. These security cameras support 1080p / 2 megapixel resolution and come with an adjustable focus lens (vari-focal). These HD cameras can be as-is for indoor installation or enclosed in a weatherproof housing for outdoor installation. Not familiar with AHD technology? Learn more by this article: What is AHD? You can watch a video that compares CCTV to 1080p HD video surveillance here. Which Security Camera Type Is Compatible with My DVR System?